Earl Wilkinson is executive director and CEO of the International News Media Association (INMA), a global community of market-leading companies reinventing how they engage audiences and grow revenue in a multimedia environment. During his career, Earl has written reports and books related to the future of media, marketing, and the strategic outlook for the news media industry. The Texas native is the author of The Earl Blog at INMA.org, as well as a frequent speaker at media industry conferences worldwide. His views on where news media companies fit into the emerging landscape are sought after by the world’s leading companies, and he is widely quoted in trade magazines, newspapers, industry Web sites, and more. Earl joined the staff of INMA in 1990 as publications editor and was appointed executive director and CEO in 1992. 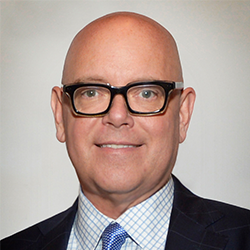 During his nearly three decades with the Dallas-based INMA, he has helped transform the association into one of the world’s fastest-growing and most influential press associations. Wilkinson was a presenter on the Keynote Panel: Newspapers in a post-advertising era at ISOJ 2018 on Friday, April 13 @8:45 a.m.